Fromage en Feu are a Bristol-based band whose music is a mixture of Klezmer, Balkan, Tango and Waltzes. 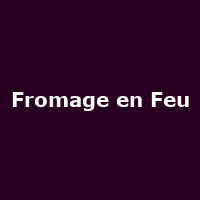 Starting out as a mere idea while travelling back from France in the Autumn of 2004, Fromage en Feu has slowly matured over many years into the festival playing, fun loving, dance inducing band it is today. They will schmoose you with their Waltzes, burn you with their Freylekhs and fulfill your inner gypsy soul with their epic odysseys.